During october I went with my family to a beach on long island that was covered in stones, no sand. 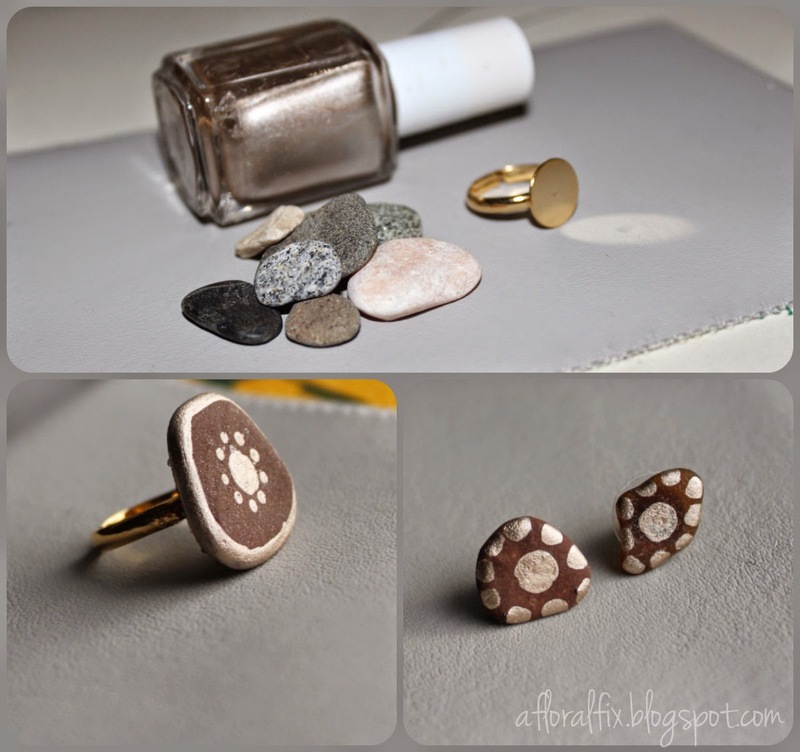 I collected a few flat stones and decided to do this easy DIY jewelry project. Since the stone are pretty plain I wanted to add a something to make it a little more unique. I end up using nail polish to paint on simple patterns.